Orofino Vineyards, one of the leading wineries in the Similkameen Valley, has extended its portfolio this spring with a new varietal red and a rosé, both made with Cabernet Franc. The rosé, aside from a limited offering to wine club members, is available just in the winery’s tasting room in magnum bottles. Too much rosé at one time? Perhaps not. The wine has less than 11% alcohol. The winery figured that when a rosé is this light and refreshing, a 750 ml bottle would be insufficient. The interest in rosé was sparked several years when Orofino’s owners, John and Virginia Weber, were in France with their cellarhand, Aaron Godard and his wife. Making rosé became feasible when Orofino added a new Similkameen vineyard to the growers it contracts. Called the Pozza Vineyard, it is a cool site on a northwestern-facing slope north of Keremeos. The upper half of the vineyard grows Cabernet Franc. The 2016 Cabernet Franc red is reminiscent of a Loire red, light in body and with herbaceous flavours. The grapes were partially fermented with wild yeast. Fermentation and aging was in concrete tanks and neutral barrels for six months. The wine was the bottled unfiltered and has been released when the wine is still fresh and vibrant. The releases this spring also include two other reds from the 2016 vintage made deliberately in a quaffable style for early release. One is a wild ferment Syrah and the other is a Gamay Noir. The soft tannins of these wines reflect, in part, the winery’s use of small concrete tanks and/or neutral oak barrels for fermenting and aging the wines. Wines made in small concrete tanks are approachable early, the winery has found. “The idea is to release something that is quite drinkable right away. It has a lighter texture to it but it still has those things we look for in Syrah – gaminess, pepper, tons of minerality,” Aaron says. For traditional palates, the winery also has a Syrah aged 20 months in oak. A fine wine, but not part of the spring release wines. Orofino Moscato Frizzante 2016 ($25). This carbonated, aromatic sparkler is the perfect brunch wine with its floral aroma and its flavours of peach and citrus. The finish is crisply dry and refreshing. 90. Orofino Hendsbee Vineyard Riesling 2015 ($22). This dry, age-worthy Riesling has developed that hint of petrol in the aroma so beloved by Riesling lovers. There also are aromas and flavours of lime, along with a mineral spine. 91. Orofino Scout Vineyard Riesling 2015 ($22). This wine begins with aromas of lemon and lime, leading to flavours of lime and pink grapefruit, with a slate minerality. The softer acidity give the impression that the wine is off-dry. 90. Orofino Pozza Vineyard Cabernet Franc Rosé 2016 ($40 for a magnum). This rosé (with 10.8% alcohol) is sold only in magnum in the Orofino wine shop on the theory that one bottle of this light, refreshing wine is not enough. It is a dry rosé with a pale salmon pink hue, strawberry aromas and flavours of strawberry and raspberry. 88. Orofino Gamay 2016 ($23). A wine with a brilliant ruby hue, it begins with aromas of cherries. There is also an herbaceous hint in the aroma. On the palate, there are flavours of cherry and plum and notes of pepper. There is a full, almost meaty, texture. 90. Orofino Pozza Vineyard Cabernet Franc 2016 ($23). This wine is quite reminiscent of a good Loire red. There are herbal and raspberry notes in the aroma, leading to bright flavours of raspberry and blackberry. The alcohol is a moderate 12.1%. Orofino Wild Ferment Syrah 2016 ($29). Fermented and aged in concrete tanks, this is a dark, juicy wine with flavours of plum, black cherry, figs. There is a hint of spice and white pepper on the finish. 89. Orofino Home Vineyard Pinot Noir 2014 ($32). An elegant wine, this is made with estate-grown grapes from 27-year-old vines. The wine, which was aged in oak for 16 months, has aromas and flavours of cherry and dark red fruit. The texture is developing the classic silky character of the variety. 90. Orofino Red Bridge Red 2014 ($25). The blend is 70% Merlot; the remainder is 10% each of Cabernet Sauvignon, Syrah and Petit Verdot. The wine begins with aromas of cassis. On the palate, there are flavours of cassis and black cherry. The long ripe tannins add to the generous and satisfying personality of this wine. 91. Orofino Scout Vineyard Cabernet Sauvignon 2014 ($29). Dark in hue and bold in flavour, this wine begins with dusty mineral notes on the nose, opening to cassis with breathing. On the palate, there are flavours of figs, black cherry and chocolate. Twenty months barrel aging have given the wine a polished, elegant texture. 92. Orofino Beleza 2014 ($34). The winery’s flagship red, this is 60% Merlot, 20% Cabernet Sauvignon and 10% each of Cabernet Franc and Petit Verdot. The wine was aged 20 months in French and American oak and give two more years’ bottle age before release. It begins with aromas of black cherry and vanilla. On the palate, there are flavours of black currant, black cherry, espresso and dark chocolate. 94. With a growing number of wineries, Lake Country is no as far from the beaten path as it was in 2008 when Ex Nihilo Vineyards opened. Ex Nihilo was then the third winery, after Gray Monk Estate Winery (1982) and Arrowleaf Cellars (2003). Those wineries have since been joined by Intrigue Wines (2009), 50th Parallel Estate (2013), Blind Tiger Vineyards (2016) and The Chase Wines (2017). It makes for a full day of wine touring, including a lunch stop at either Gray Monk or Arrowleaf. · Musician Andrew Allen is in concert at the winery July 7 and 8. The evening performances include dinner. · Singer songwriter Barney Bentall has evening performances at the winery July 14 and 15 also including dinner. · Last October, country singer Lee Dinwoody anchored an evening marking the 10th anniversary of winemaking by Ex Nihilo. · Throughout the year, Ex Nihilo seldom misses a chance to celebrate Christmas or Valentine’s or any other occasion for a good party. For some background on the winery, here is an excerpt from my new book, Icon: Flagship Wines from British Columbia’s Best Wineries. It was mad cow disease that propelled Jay Paulson into winemaking. It is a long story. Jay is one of the partners in Ex Nihilo Vineyards, along with his wife, Twila, and Jeff and Decoa Harder, all of them former Albertans. Jay, Twila, and Jeff have been friends since high school. Decoa, a former skiing instructor with a marketing education, was the first of the four in the wine business, as a wine salesperson for Quails’ Gate and Mt. Boucherie. She says, “I woke up one morning [in 2003] and said ‘Jeff, we have to find land.’” The following year, they bought a property in the municipality of Lake Country and built a house. After enlisting the Paulsons as partners, they planted two hectares of Pinot Noir, Pinot Gris, and Riesling vines in 2007. 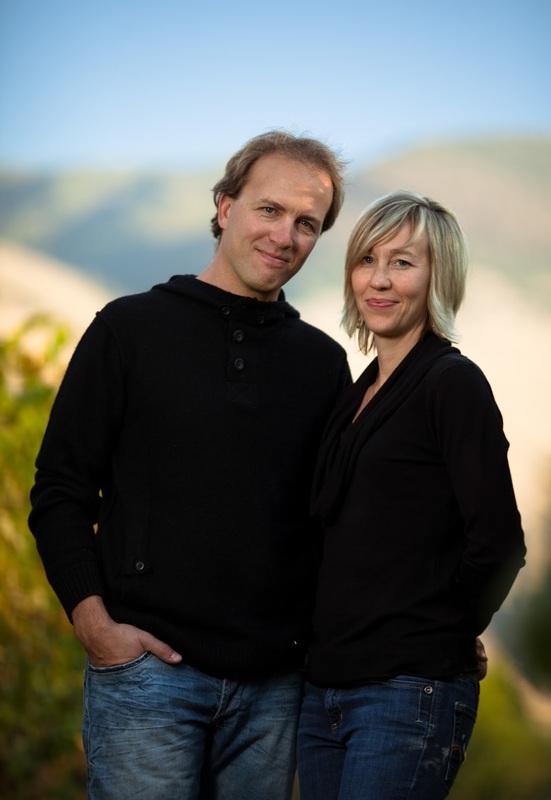 The vineyard doubled in size in 2013 after the Paulsons moved from Edmonton to the Okanagan. Jeff and Decoa were instrumental in sparking Jay’s interest in wine in 2002, after they invited the Paulsons to join them for a vacation in the Napa Valley, where Jeff’s brother, James, owns a winery. When he returned to Edmonton, Jay immersed himself in wine appreciation courses. At the time, the Paulsons were in the cattle industry, with Jay operating a cattle brokerage business (buying and selling livestock for feeder lots and slaughterhouses). The incidence of mad cow disease in some Alberta herds devastated the industry, triggering Jay’s decision to partner with his friend in Ex Nihilo. Most of the wines in the Ex Nihilo portfolio are collectible, including a notable Riesling, a Bordeaux blend called Night, and intense Merlots. However, Pinot Noir has emerged as the signature varietal because it is planted in the estate vineyard. Here are notes from a recent tasting at Ex Nihilo. Ex Nihilo Pinot Gris 2015 ($20). This is a bold and ripe wine, reflecting that warm vintage. It is a big mouthful of pears, apples and tropical fruits with a hint of anise on the finish. 90. Ex Nihilo Riesling 2015 ($20). The winery gained early acclaim with its Rieslings. The grapes for this are from both the estate vineyard and from The Rise, a vineyard near Vernon. The wine has aromas of pink grapefruit and flavours of lemon and orange. The residual sugar is balanced with lively acidity and the wine has a dry finish. 90. Ex Nihilo Privata Chardonnay 2015 ($26). Made with grapes from the Similkameen, the wine was aged for eight months; 60% in French oak and 40% in American oak. It is a full-flavoured wine (pineapple, guava) with an intriguing hint of spearmint in the aroma. 92. Ex Nihilo Pinot Noir 2015 ($36). This is a delicious example of a full-bodied Pinot Noir. Dark in colour, it begins with aromas of cherry and plum that are echoed on the palate, with an intensity that flirts with jaminess. The texture is silky. 92. Ex Nihilo Merlot 2014 ($36). The grapes are from the Secrest Road Vineyard near Oliver because most sites in Lake Country are too cool for Merlot. This is a superbly concentrated wine, with aromas of vanilla and black and red currants. On the palate, there are flavours of cassis and black cherry. 92. Ex Nihilo Night 2014 ($50). Made with grapes from the Black Sage Bench, this is a blend of 47% Cabernet Sauvignon, 41% Merlot and 12% Cabernet Franc. The wine was aged 19 months in French oak. The balance and structure of this wine are perfect elegance. It begins with aromas of cassis. On the palate, there are flavours black cherry, plum, fig and spice. The winery believes this can be cellared until 2030. 93. A sign on Highway 97 announces Savard Vines but the winery is not visible from the highway. It is at the end of a steep drive down the mountain side – a paved road with five switchbacks leading to a photogenic panorama of the Savard vineyard and Okanagan Lake beyond it. The switchbacks, which make the approach to the tasting room so memorable, have inspired “Five Turns” as the label of one of the red blends found here. Lori and Michael Savard bought this 10-acre property in 2003 as an Okanagan getaway from their jobs in Edmonton; and where their four children – all good swimmers – could enjoy the lake. She was a nurse practitioner in cardiology and Michael was (and still is) an emergency room physician. Initially, they planted garlic and then tried their hand at market gardening before deciding that both types of farm were hard and unrewarding. In 2008, they planted just over four acres of vines. The 6,000 vines also are hard work but a much more attractive addition to the property. The Savards engaged a consultant to advise them on what to plant. This is a comparatively cool site. The eastern exposure gets the morning sun but is shaded by the mountainside in the late afternoon. The three largest blocks are varieties suited to cooler Okanagan sites: Pinot Noir, Pinot Gris and Cabernet Franc. There also is a small block of Malbec, a bit of risk for this site but 0ne that has worked out in most vintages. “After a couple of years of being grape growers, we started selling our grapes to local wineries,” Lori says. “Knowing nothing about wine myself, I took a simple eight-week course - introduction to wine, level one. And it was fascinating.” By 2013, she had taken enough courses to qualify as a sommelier. Meanwhile, Michael embraced working in the vineyard. “He loves being on the farm and driving the tractor,” Lori says. “For him, it is his recreation.” Perhaps that is because there is farming in his blood. His grandparents, who grew grapes in France, emigrated to the Okanagan and spent time there as vineyard workers before settling near Edmonton. In 2015 the Savards built the winery and tasting room and, with the aid of consulting winemakers, started crushing their own grapes. The early vintages from this vineyard were crushed at other wineries. The Savards were able to repatriate some of those wines, giving them inventory when they opened their own wine shop in April this year. As a result, one of the wines in the tasting room at the time was a 2012 barrel-aged Pinot Noir made from their grapes. It took them a few vintages to settle on a consultant whose winemaking style reflected the styles preferred by the owners. Lori prefers Pinot Gris that is fruit forward and has been fermented in stainless steel or in one of the winery’s two concrete eggs. When one lot of Pinot Gris in 2015 was barrel-aged, she labelled it as Savard Dusty Ribbon Reserve ($17.99). It is a well-made wine, rich on the palate and with flavours of guava, ripe apples and butterscotch (89). It reminds Lori of a Chardonnay. “I don’t mind Chardonnay but I don’t want a Pinot Gris like that,” she says. “Pinot Gris is an aromatic grape and I want aromatics.” There is also an unoaked Savard Dusty Ribbon Pinot Gris 2015 ($15.99) that is crisp and fruitier (88). The experience also led the Savards to engage a different consultant to help them finish the 2016 vintage. Lori now gets advice from Pascal Madevon, the veteran French-trained winemaker who made a dozen vintages at Osoyoos Larose and two at Culmina before hanging out his shingle as consultant in the Okanagan. Hiring someone with his qualifications speaks eloquently about the desire of the Savards to produce quality wine. There was, however, no difference of opinion on how Pinot Noir should taste. Savard Shadow Mountain Pinot Noir 2012 ($32), which the winery considers its signature wine, is an elegant wine with aromas of cherry and flavours of cherry, raspberry and strawberry with a hint of vanilla (90). The 2013 and 2014 vintages have been bottled but not yet released while more recent vintages are in barrel. The production of the vineyard has been supplemented with some purchased fruit, including a Gamay Noir which is blended with 75% Pinot Noir for Savard Five Turns 2015, a name inspired by the switchbacks. Selling for $24 a bottle, it is a fresh and juicy red with flavours of cherry and strawberry and a silken texture (90). Her first Riesling has just been released as Beards, Horns and Hooves Riesling 2016 ($18.88). The label is apparently inspired by mountain goats. It was not yet bottled when I visited the winery in April. Also not available at the time was the recently released SV Two Barrels 2015 ($28.88), so named because the winery made just two barrels. It incorporates the vineyard’s Cabernet Franc (44%) and Malbec (28%) in a blend with Merlot (24%) and Cabernet Sauvignon (4%). If I did not know better, I might think winemaker Nikki Callaway is related to the Stewart family, the owners of Quails’ Gate Estate Winery. Why? During the last few vintages, she has produced limited edition wines named for members of previous generations of Stewarts. There is Rosemary’s Block Chardonnay, Richard’s Block Pinot Noir and now Lucy’s Block Rosé. It is a fine and gracious honour that she pays to the family. The Stewarts have been involved in Okanagan agriculture since Richard Stewart Sr. arrived in the valley in 1908. 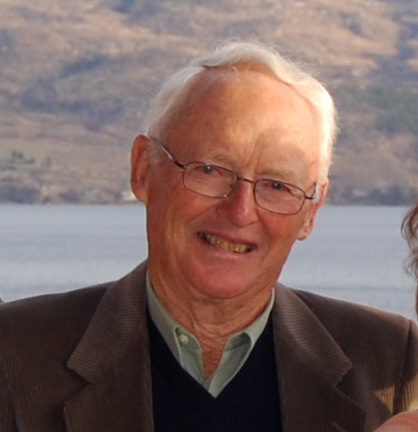 Richard Stewart Jr., the father of the current owners, first planted grapes in 1961 on property in West Kelowna that became Quails' Gate vineyards. As well, he formed a partnership with Calona Wines to establish Pacific Vineyards, then a major vineyard on Black Sage Road. "We believed there was room for growth in the wine industry," Richard told me later. Richard (left) was a founding member in 1961 of the Association of British Columbia Grape Growers (with Frank Schmidt and Martin Dulik), set up to lobby government for favorable policies. He was not an original member of the Grape Growers' Marketing Board but soon joined this price-negotiating body and subsequently became its chairman. Interested more in grape growing than winemaking, Richard encouraged his son, Ben, to establish Quails' Gate in 1989. Subsequently, Tony Stewart, Ben’s younger brother, joined the business. Tony became president when Ben went into politics and then took a post as British Columbia’s representative in China. Having finished that assignment, Ben has rejoined the Quails’ Gate management. It is my understanding that he will focus on planting a large Quails’ Gate vineyard in East Kelowna and likely oversee the construction of a second production facility there. The Stewart relative honoured in this spring’s releases is Lucy May Whitworth, referred to in the winery’s notes as “our grandmother.” It is one of the finest rosés from the Okanagan in 2016. Here are notes on the Quails’ Gate releases this spring. 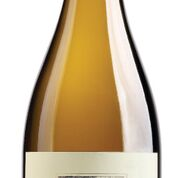 Quails’ Gate Chasselas Pinot Blanc Pinot Gris 2016 ($17 for 18,848 cases). As the production volume indicates, this wine has become an immensely popular wine. The blend is 60% Chasselas, 20% Pinot Blanc and 20% Pinot Gris. The wine begins with an appealing floral aroma, with hints of tangerine, pear and apple in the nose and on the palate. The texture is juicy, surprisingly so for a bone dry white. The finish is as refreshing as a day in spring. 90. Quails’ Gate Dry Riesling 2016 ($15 for 5,935 cases). Notes from the winery suggest this can be cellared until 2022. I would certainly recommend putting this away at least until next year to allow it to begin developing the inherent complexity. The wine begins with aromas of lime, lemon and green apple. The tangy palate has a medley of flavours, including lime and white peach. There is a good mineral spine. The finish is refreshing. Look for the wine to develop the secondary aromas and flavours of Riesling with more age. This is outstanding value. 91. Quails’ Gate Gewürztraminer 2016 ($15 for 6,817 cases). This wine begins with classic aromas of lychee and spice, leading to a rich palate with flavours of guava. There is a hint of ginger mingled with the spices that give the impression of dryness. The rich texture reflects the wine’s moderate residual sweetness (7.4 grams), balanced with good acidity. 90. Quails’ Gate Chenin Blanc 2016 ($17 for 4,000 cases). The winery has blended 10% Sauvignon Blanc into this varietal. While 8o% of the wine was fermented in stainless steel, the winemaker added complexity and texture to the palate by fermenting 20% in older oak barrels and puncheons. The wine has aromas of apples and melons, with flavours of lime and green apple. The wine is crisply dry with racy acidity and with a backbone of minerals. The finish is dry. The winery suggests cellaring this wine until 2022. 92. 2016 ($16 for 7,300 cases). This rosé 70% Gamay Noir, 20% Pinot Noir and 10% Pinot Gris. The grapes were sold-soaked overnight, extracting a light salmon pink hue. The aromas of cherry and strawberry are echoed on the palate. The wine is balanced to a refreshing, dry finish, with a silky texture. 90. 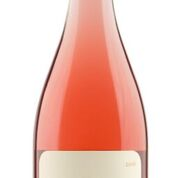 Quails’ Gate Lucy’s Block Rosé 2016 ($20 for 500 cases). Move over, Provence, for this 50/50 blend of Pinot Noir and Pinot Meunier. This is a very elegant rosé, beginning with a lovely rose petal hue. The aromas are both floral and fruity, with notes of raspberry and strawberry that are echoed in the flavours. The finish is crisp and dry. 92. Blue Mountain Vineyard & Cellars released three reserve wines from the superb 2014 vintage on April 24, 2017. I learned recently that the wines sold out that afternoon. When wine sells almost as quickly as tickets for a U2 concert, that speaks volumes for the loyalty of Blue Mountain customers and the quality of the wines. Why am I still reviewing the wines? If you bought them, you might like to compare notes. And perhaps Blue Mountain allocated some of the wines for restaurants or select wine shops. If you have these wines, or come across them in a wine shop, don’t rush to open them. While the three wines are drinking well now, a further year in your cellar will unlock even more complexity. Blue Mountain is included in my new book, Icon: Flagship Wines from British Columbia’s Best Wineries. For most wineries in the book, I chose just one wine; I wanted to focus on wines that might be collected for vertical tastings. I made an exception with Blue Mountain because all of the reserves are collectible. In fact, when I asked winemaker Matt Mavety which of his wines are collectible, he said: “All of them.” That included the “regular” releases as well as the reserves. It is hard to disagree with that. Here is an excerpt from the Blue Mountain profile in the book. Ian and Jane Mavety, Matt’s parents, planted this picturesque Okanagan Falls vineyard in 1971, initially with the hybrid varieties then in demand for winemaking. They began replanting with vinifera in 1985, focusing on the varieties of Burgundy and Alsace, the French terroirs they believed to be most similar to their vineyard. The winery opened in 1992 with Pinot Blanc, Pinot Gris, and Pinot Noir from the 1991 vintage, followed shortly by the 1991 Blue Mountain Brut and a 1993 Chardonnay. The winery soon began making its eminently collectible reserves, beginning with a 1992 Vintage Reserve sparkling wine (subsequently phased out). Striped labels were designed to differentiate the reserve wines from the regular wines, released with cream-coloured labels. The winery released its first reserve table wines in 1996—a 1994 Pinot Noir, and a Chardonnay and Pinot Gris from the 1995 vintage. Blue Mountain gained international recognition when it was the first Canadian winery invited to the prestigious International Pinot Noir Celebration in Oregon, to pour its 1994 Pinot Noir Reserve. Since then, Blue Mountain has produced reserve table wines virtually every vintage. The typical volume is 600 to 800 cases of Pinot Noir and about 350 cases of Chardonnay. The reserve sparkling wine was replaced in the 2005 vintage with the R.D.—or “recently disgorged”—which is on the lees for six or seven years before being disgorged. Volumes range from 100 to 200 cases. No Reserve Chardonnay was made in 2009 (for a 2010 release), a cool vintage, when isolating the reserve fraction would have caused an unacceptable drop in the quality of the cream label Chardonnay. “If it turns out that we cannot take away any of the components to make a reserve without compromising what’s left, we don’t make a reserve,” says Matt Mavety, who became involved in making the wine after completing winemaking studies at Lincoln University in New Zealand in 1997. Vintage variation aside, the wines are consistent in style and quality. This reflects that Blue Mountain only uses estate-grown grapes. From the very first vintage until 2013, when he died, Blue Mountain employed the same winemaking consultant from California, French-trained Raphael Brisbois. Matt has been the hands-on winemaker in the Blue Mountain cellar for nearly two decades. Here are notes on the three reserve wines just released. 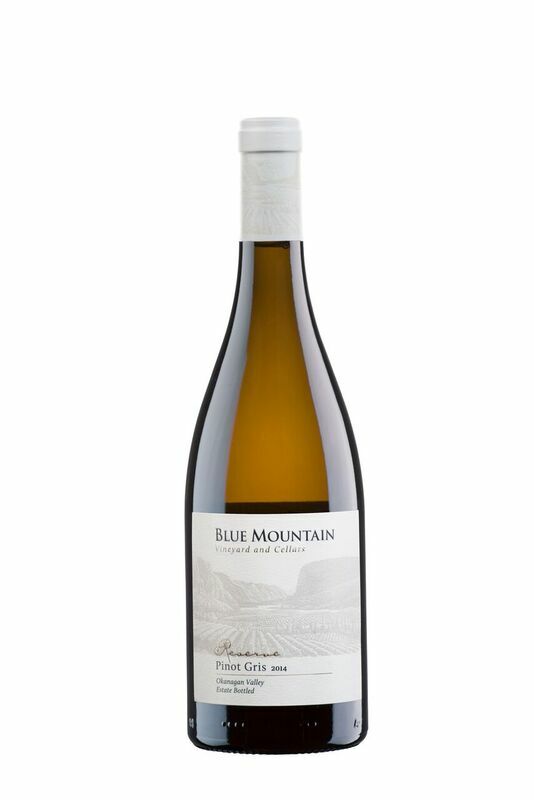 Blue Mountain Reserve Pinot Gris 2014 ($28). Sixty percent of this was fermented in stainless steel. The other 40% was fermented and aged eight months in French oak barrels (a mix of new to three-year-old barrels). The wine was bottled in July 2o15 and given extended bottle age to develop before release. It begins with aromas of pear, citrus and vanilla which are echoed on the palate. The finish has notes of pear and spice mingled with citrus. 92. Blue Mountain Reserve Chardonnay 2014 ($30). Sixty percent of this wine was fermented and aged 11 months in French oak barrels (new to three years old). The remainder was fermented in stainless steel. The portions were blended and aged a few months on the lees before being bottled. The wine begins with aromas of citrus and vanilla. On the palate, there are flavours of apple, lemon, butter and vanilla mingled with a hint of lees. The wine has good weight on the palate with enough acidity to finish crisply. 93. Blue Mountain Reserve Pinot Noir 2014 ($40). To develop the intense flavours and deep colour in this wine, the lightly crushed grapes were macerated 16 to 20 days. The wine was fermented entirely with wild yeast and was aged 16 months in French oak barrels. The barrels added toasted notes to the aroma and the flavour. There are spice and cherry notes on the nose and on the palate. The rich flavours have a lingering finish while the texture is elegant. The winery suggests this could age seven to eight years. 93. One of four wineries near Kamloops, Monte Creek Ranch Estate Winery is now in its third year of sales. The newsletter the accompanied the spring releases implies that the wines are being well received. Monte Creek already has 65 acres of vines in two vineyards. Some 45 acres are planted at the ranch, south of the Thompson River and the TransCanada. The primary vines are winter hardy varieties: Maréchal Foch, Marquette and La Crescent. The remainder of the producing vines are at a property called Lion’s Head, a southwest-facing slope on the north side of the Thompson. The vineyard is named for the bluff that looms over the vineyard. The varieties here primarily are Riesling and three hardy Minnesota hybrids, Frontenac Gris, Frontenac Blanc and Marquette. There is also a trial block of Chardonnay. Evidently, the Chardonnay trials have been promising. This year, the winery will plant more Riesling along with Chardonnay and Pinot Noir. Those are all vinifera and not quite as hardy as the hybrids, although Riesling is one of hardier vinifera. The Minnesota hybrids which Monte Creek planted were developed, as the name suggests, in Minnesota and Wisconsin. They are varieties capable of surviving the hard winters of the American Prairie as well as the frigid winters expected in Kamloops from time to time. To the best of my knowledge, there are no other significant plantings of Minnesota hybrids elsewhere in British Columbia. They are planted widely in Quebec where the winters are cold enough to kill vinifera. In fact, the Quebec winters are so cold that many vineyards bury even the hybrid vines in the fall to keep the buds and vines alive over winter. The Kamloops winters are not that brutal. Even so, Monte Creek Ranch will plant its vinifera vines on their own roots. Own-rooted vines can regenerate after a hard freeze. If the vines were grafted and suffered a killing freeze, the likelihood is that just the grafted rootstock would survive. Rootstock produces no fruit. Monte Creek is taking an extra precaution. “For the first 2 years, the vines will be buried go protect them from winter’s harm,” the winery says. It is likely the vines will be able to better handle the cold when the trunks are more mature. I hope that Monte Creek succeeds with these new plantings. Except for the danger of hard winters, the Lion’s Head vineyard has all the attributes to produce excellent wine. And the Minnesota hybrids are producing interesting wines, as the spring releases show. Here are my notes. Monte Creek Hands Up White 2016 ($15.49). This is a delicious fruit basket of a wine, made with 54% Frontenac Blanc, 27% Viognier, 16% La Crescent ands 3% Riesling. There are aromas of apple and nectarine leading to flavours of nectarine, peach and honeydew melon, with a citrus note on the crisp and refreshing finish. 90. Monte Creek Riesling 2016 ($16.99). This is a ripe and tropical Riesling, with aromas and flavours of nectarine, peach and citrus. The wine has a moderate alcohol of 11%. The winemaker has retained enough residual sugar to lift the flavours while balancing the sweetness with enough acidity that the finish seems dry. 88-90. Monte Creek Chardonnay Reserve 2015 ($24.99). This is a richly textured, fruit-forward wine with flavours of citrus, melon and guava. The soft acidity reflects the hot 2015 vintage. There is a slight bitterness on the finish. 87. Monte Creek Rosé 2016 ($16.99). This wine is made with Marquette grapes, a Minnesota-developed variety. The wine presents with a vibrant hue and cherry aromas. On the palate, there are flavours of cherry, plum and red currant. This is a robust and juicy rosé. 88. Monte Creek Ranch Hand Red Reserve 2015 ($29.99). This is a blend of 47% Merlot, 35% Frontenac Noir and 18% Cabernet Sauvignon. Sixteen months in barrel have polished the texture of this wine, giving it a rounded softness making it drinkable at just two years of age. There are aromas of black cherry, leading to flavours of plum and cherry. 90. In 2016, one of the most interesting new wineries was Kitsch Wines in East Kelowna. There is an exciting youthful vibe here, reflecting the youth of the owners, Ria and Trent Kitsch, and their winemaker, Grant Biggs. There are also excellent wines. 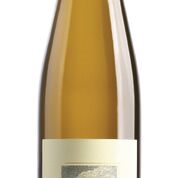 The winery's debut 2015 Riesling was judged best of variety at the recent Okanagan Spring Wine Festival. The 2016 whites, just being released, are from one of the best vintages so far for Okanagan whites. The 2015 Pinot Noir is elegant even if Grant repeats the cliché that the variety is the heart break grape. This, after all, was his first Pinot Noir. And the barrel sample of a superb 2016 Pinot Noir that he showed me makes it clear he has his arms around the variety. The owners are Kelowna natives. Trent was born in 1979; Ria was born three years later. Trent played minor league baseball before getting a business degree at the University of Western Ontario. Ria studied business at UBC Okanagan and in Austria, including wine appreciation in Krems, followed by backpacking in South America. She met Trent when she returned to Kelowna, where she joined him in developing and marketing the SAXX brand of men’s underwear. When the brand had grown to the point where it was ready for international marketing, the couple sold the business. Their 12.7-acre vineyard was planted in 2013 and 2014. The largest blocks are Riesling. They also grow Chardonnay, Pinot Gris and Pinot Noir. The winery and the tasting room were opened in a three-car garage attached to the large house built for Trent’s parents (who are in the housing development business). The garage doors open up to reveal the grand view over the vineyard. However, the winery will relocate this fall because the Kitsch family would prefer more privacy. Trent and Ria are looking at options that include moving a few hundred yards west to their own home where there is another garage that could be turned into a winery. Another option might be a move into downtown Kelowna, becoming an urban winery. The winery will continue to get grapes from this vineyard as well as other vineyards in East Kelowna and Lake Country. Winemaker Grant Biggs, who also manages the vineyard, was born in 1983 in Port Alberni and worked as a sommelier in Victoria restaurants. “My grandfather, I think, is the reason by I pursued a career in wine,” Grant says, referring to Italian-born Elio Navé. “He used to order grapes from California – Zinfandel and Muscat – and we would make wine in the basement together when I was growing up. I associated the fondest memories with the foods that grandma was cooking and the wine that my grandpa was drinking.” His grandmother is French. Grand began his winemaking career as an assistant winemaker at Mt. Boucherie Vineyards, moving to Tantalus Vineyards for two years in 2013. He has also done a crush in a large New Zealand and enrolled in the distance learning program from the University of California at Davis. By the time he was hired for the first vintage at Kitsch in 2015, he had honed detail-oriented cellar skills that have given him a sure hand at making wine. The winery made about 1,000 cases in 2015 and increased production to 2,300 cases in 2016. He anticipates it will be a more challenging vintage. Compared to the early start of vine growth in 2016, this year has started weeks later. However, he has a young German viticulturist helping him in the vineyard. The two of them are prepared to react to whatever the season brings. Kitsch Dry Riesling 2016 ($24.90 for 650 cases). The wine has appealing aromas and flavours of lime and lemon around a mineral backbone and a tangy finish. The balance gives the wine an electrifying intensity: the wine has 11.3 grams of residual sugar and 9.3 grams of acid. That structure assures the wine will age for at least 10 years even if it is approachable now. 92. Kitsch Riesling 2016 ($22.90 for 450 cases.) The wine has similar acidity to the dry Riesling but twice as much residual sugar. The wine begins with aromas of citrus and white peach, going on to deliver flavours of sweet lime and grapefruit. The residual sugar lifts the aromas and flavours. The finish, however, is almost dry. This is the one to drink while the dry Riesling is aging. 91. Kitsch Riesling 2015 ($23.90 for 393 cases). This wine begins with aromas of lemon and lime, echoed on the palate. The flavours are surprisingly concentrated for fruit from young vines, with a vibrant tension created by balancing nine grams of acidity with 15.4 grams of residual sugar. The wine has begun to show a note of the classic petrol that develops as Riesling ages. 92. Kitsch Pinot Gris 2016 ($21.90 for 255 cases). The wine presents with a slight blush, the consequence of giving 72 hours of skin contact to three-quarters of the crushed fruit before fermentation. Richly textured but finishing dry, the wine has aromas and flavours of pears and apples. There is a hint of anise on the finish. 91. Kitsch Pinot Noir Rosé 2016 ($21.90 for 163 cases). This is youthful Pinot Noir from vines planted in 2014 – a very sensible way to use second leaf fruit. A dry rosé, the wine’s strawberry hue may be suggestive: the aromas and flavours also suggest strawberry and raspberry. 90. Kitsch Chardonnay 2015 ($23.90 for 202 cases). I tasted this last year but was shown it again to see how well it has developed in bottle. This barrel-fermented wine begins with a lightly gold colour in the glass and with aromas of citrus and apple. On the palate, there is a medley of fruit ranging from melon to apple to pineapple and lemon. There is a very subtle note of oak on the finish. This is almost sold out but the barrel sample of 2016 Chardonnay is every bit as good. 92. The Chase Wines, the newest producer in Lake Country in the North Okanagan, will open its tasting room later this month. It is Act One of the O’Rourke Family Vineyards (OFV) drama. Act Two is the winery expected to open in two years at the top of a nearby Carr’s Landing vineyard. The architecture promises to be, well, dramatic: the winery is perched on a granite outcrop above 300 meters of man-made tunnels for aging wine (below). For wine tourists, it promises to be one of the Okanagan most memorable wineries, with wines to match. The 4,000-square foot Chase Wines facility opening this month is just the teaser. Who gets into Okanagan wine production by opening two wineries? Edmonton businessman Dennis O’Rourke. Sureway Construction Group Ltd., which he founded in 1973, is one of Alberta’s largest construction contractors. He had had a second home in Lake Country for almost 30 years before he decided to invest in wine production in the area. And he decided to make an impact. He bought a 140-acre property that was part derelict orchard and part a stand of conifers, mostly killed by pine beetles. The property is a few kilometers south of 50th Parallel Estate Winery, another showcase Lake Country winery that opened in 2013, the year when O’Rourke began planting his vineyard. Like 50th Parallel, the O’Rourke site has a long and relatively steep slope down toward Okanagan Lake. From the top of the south-facing O’Rourke Vineyard, visitors have a 35-km view (see right) down the lake to the Bennett Bridge and beyond. Visitors will spend the next two years anticipating this experience – but not the wines, where the big reveal happens in a few weeks in The Chase tasting room. The Chase facility, 4,000 sq. ft. in size, was built over the past year so that Adrian could start making wines as the vineyard began producing grapes. The Chase is a functional but spacious building, directly across the road from Intrigue Wines, which opened in 2009. As it happens, Adrian is experienced in developing Lake Country vineyards and wineries, having been the launch winemaker at 50th Parallel before moving to the FPV project in 2013. He was born in Wellington, New Zealand. “I trained in molecular biology and biochemistry in Wellington , then after a mid-20s crisis and a bit of travel, went back to school for winemaking at the University of Adelaide,” Adrian says. He spent two years as assistant winemaker at Lawson’s Dry Hills Wines in Marlborough. In 2001, he joined Craggy Range Winery. That winery also has an Okanagan connection. Craggy Range founder Terry Peabody, while developing Craggy Range, was chief executive of Western Star, a Kelowna commercial truck maker that he purchased in 1990. After it was turned around, it was taken over by Freightliner in 2000 (and subsequently was closed). By 2004, Adrian had become the Senior Winemaker Cool Climate at Craggy Range, making Pinot Noir, Riesling, Pinot Gris and Sauvignon Blanc. “I came to B.C. in July, 2010, on a reconnaissance mission, to see if it we could create an adventure for our young family,” says Adrian, the father of four home-schooled children. “I came back at harvest time to do some consulting for a prominent winery.” He liked what he saw in the Okanagan and in April, 2011, came here permanently, first to begin developing 50th Parallel and then, two years later to join the even grander O’Rourke project. Perhaps Dennis O’Rourke reminded him a bit of Terry Peabody: both are self-made business successes. And Dennis certainly has the resources to drive Lake Country project. Such precision matters. “In a vineyard, if you get the micro-precision, the macro makes sense,” Adrian says. The vineyard, when fully planted, will have about 100 acres of vines, sufficient to sustain an average production of about 20,000 cases a year. Pinot Noir accounts for the largest blocks, followed by Chardonnay, Riesling, Pinot Gris and Gewürztraminer. And there is a two-acre block of Grüner Veltliner, with another 3 ½ acres to be planted this year. Adrian believes that this Austrian white variety is well suited to Lake Country. To help with the viticulture, Adrian in 2014 recruited Peter Wilkins, a fellow New Zealander with extensive vineyard management experience. “Pete and I worked together at Craggy Range,” Adrian says. Adrian began fermenting wine from the young vines in 2015. “We took a little bit of each of the varieties that we planted. For me, it was just seeing that I had planted the correct varieties.” Very little of the production from that vintage will be sold. The wines are well-made but have been retained for the owner and his friends. The volume was small in any event. And Adrian was refining the style and making sure the owner was onside. Briefly, it looked like Adrian’s decision to dedicate 12% of the vineyard to Riesling might be a problem. “I had my little tank of Riesling fermenting in here in the middle of winter,” Adrian told me last year. “The owner comes in. He’s a big man. He said, towering over me, ‘You know Adrian, I have had four glasses of Riesling in my life and I have hated every one of them.’ So I took a glass and I went to the Riesling tank – a 600 litre tank; we bottled 53 cases of Riesling, bone dry – and I went up to him and said, ‘Try this’. He tasted it and quite liked it.” In fact, it was his favourite of the wines he sampled. “He is now a converted preacher of Riesling,” Adrian chuckles. Here are notes on the wines to be offered at The Chase. Notes on the 2015 show the potential with bottle age. The Chase Riesling 2016 ($19). This is a disciplined dry wine, with aromas and flavours of lemon and lime wrapped around a core of minerality. The bright acidity gives the wine a tangy finish. It also gives it longevity in the cellar. 90-92. The Chase Gewürztraminer 2016 ($19). This wine begins with aromas of spice and rose petals, leading to flavours of lychee and spicy grapefruit. Balanced to dry, this is a superb food wine. 90. The Chase Pinot Gris ($19). Twenty per cent of this was fermented in barrel, simply to add texture. The wine is crisp and refreshing with aromas and flavours of pears and apples. There is a hint of anise on the dry finish. 91. The Chase Rosé 2016 ($19). Three and a half days of skin contact before fermentation assured good colour extraction from the Pinot Noir grapes. This is a dry wine with notes of strawberry and cranberry on the palate. 90. The Chase Grüner Veltliner 2015 ($26 for 23 cases). This is a complex dry white wine, fermented and aged 15 months in barrel. The treatment added texture and weight but did not make the wine oaky. There are aromas and flavours of melons and grapefruit. 91. The Chase Pinot Gris 2015. A quarter of this was barrel-fermented, giving the wine generous texture. On the palate, it is bursting flavours of melon and peach. The finish is dry. 92. The Chase Gewürztraminer 2015. A year in bottle has allowed the wine to develop an Alsace-like richness, with spice and lychee on the palate. There is a savoury note on the exceptionally long finish. 92. The Chase Riesling 2015. Made with fruit from three-year-old vines, this wine has lemon flavours wrapped around a spine of minerals. It has begun to develop a hint of petrol. 90.